5 Reasons You’re Going to Love This Study! I’m Anna Currin, one of your study leaders for our next P31 OBS, Keep Showing Up. My fellow study leaders and I are excited to share a bit about ourselves, why we’re looking forward to going through this study and why we think you’ll be excited too! I (Anna) live in Richmond, VA with my husband of six years, Ben, and our three girls (all five and under) whom I’m blessed to stay home with. We decided to do things differently by skipping the big wedding and sealing the deal at the courthouse (something I love about our story!). However, my expectations were still awry with fairy-tale envisions, which made for a challenging start! Thankfully, God helped sort that out. And now we’re in a stage of busyness and routine, so I can’t wait to learn through this study how to find magic in our everyday mundane! Hello friends! My name is Quantrilla Ard (but you can call me Quanny). My husband Donny and I have been married for almost 11 years. We live in Hanover, MD and are the proud parents of three, amazing littles (ages 9, 7, and 3). Whenever conflict arises in my marriage, it can be difficult for me to address. So what excites me most about this study is that we will learn how conflict, when resolved with intention, can benefit our marriages. I can’t wait to get started with you all! Hey ladies! I'm Ann Hagenbarth from GORGEOUS Spirit Lake, ID where I live with my husband of 15 years, Jim, and our 3 kids (ranging from toddler to teen). The start to our marriage was tumultuous, as Jim wasn’t raised in the Christian faith and struggled with alcohol. Through our struggles, God taught me it wasn’t my job to change Jim; I could only work on myself. Our journey is completely different now as Jim’s grown in faith and alcohol’s no longer an issue, praise God! I’m excited to keep growing through this study, learning how we can serve God together through marriage!  Hey y'all, my name is Jessie Bigelow and I'm honored to be the Online Bible Studies Coordinator here at Proverbs 31 Ministries! I am so excited to join you all from Charlotte, NC for Keep Showing Up because –– this is my first marriage study! That’s right, my sweet husband Jake and I are newlyweds (married just about four months), and I’m excited to learn how to set our marriage up for success! Hello, I’m Debbie Williams from Midlothian, TX (said with a southern drawl). I’m married to my high school sweetheart, Mix (yes, that’s really his name — like cake mix) and our 50th wedding anniversary is this coming August! We have a grown son and daughter, who’ve given us daughter and son in-loves and five grandkids (all five and under). “Never Stop Starting Over” is one of my favorite chapters we'll read together because it’s something we’ve learned as God grows us and changes us through seasons of life. I’m excited to learn how to continue to choose our spouses each day as we all do on our wedding days. Tell us a bit about you, your marriage and what you’re most hoping to get from this study. Comment on today’s blog for a chance to win a copy of Keep Showing Up! Five winners will be randomly selected and notified within 3 days via a reply to their comment on this blog. P.S. If you haven’t signed up yet, we personally invite you to do so. We’d love to learn to keep showing up with you!